Jared has filled several roles and worn many hats since joining LandCare in 2008. As a leader for the West Coast, Jared offers unbridled enthusiasm for his customers and his teams. 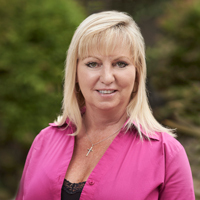 A career veteran of the landscape industry and native of the Pacific Northwest, Karen has worked with local, regional and national firms. Her leadership style is collaborative and empowering as she helps her teams focus on living the core values.